Increase the efficiency of your curved profiles production with our Stegherr machines for single piece or series production. 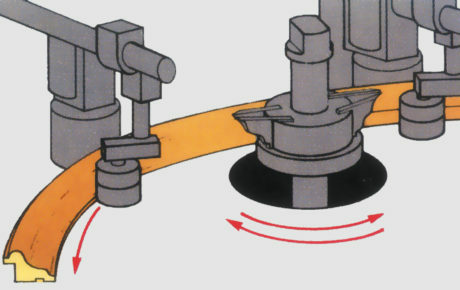 The arc feed attachment BV is an additional device for mounting to a usual spindle moulding machine with vertical spindle. 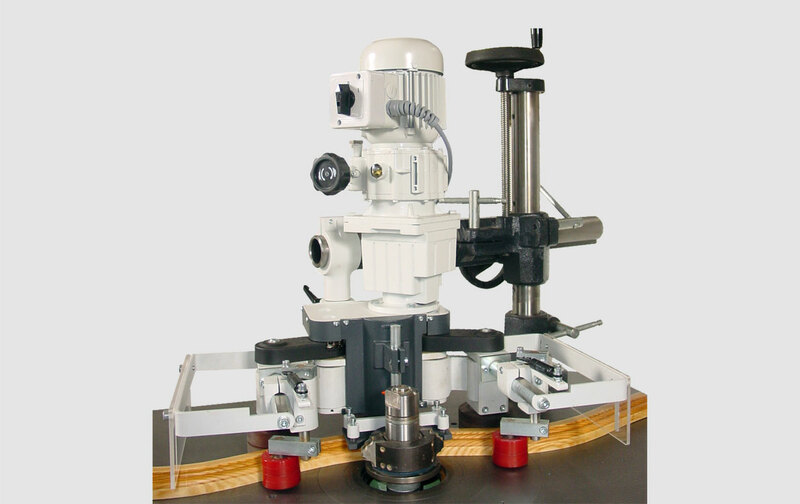 The workpiece is guided safely through the milling tools without distorting the profile. The arc feed attachment BV is used for the profiling and rebating for style doors, arched windows, curved elements for style doors and for the furniture industry. The BV can handle both heavy window frames and decorative strips, bent or straight.